Want to become a famous vlogger or a successful sound mixer artist? 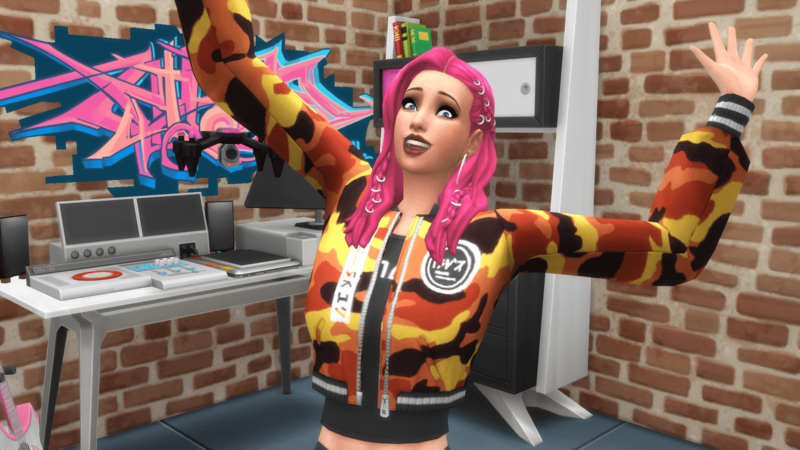 I’ll explain everything there is to know about the new Media Production Skill in The Sims 4 Get Famous. A Sim with Media Production Skill is well versed in current technology, as it applies to producing music and videos. These Sims stream and upload content to share to the world or make some Simoleons on the side. Register with Ministry of Labor (on your phone) to make streamer/sound mixing/vlogger your daytime job. This is set as your job description. Many interactions can lead up leveling this skill if you use the right technology. 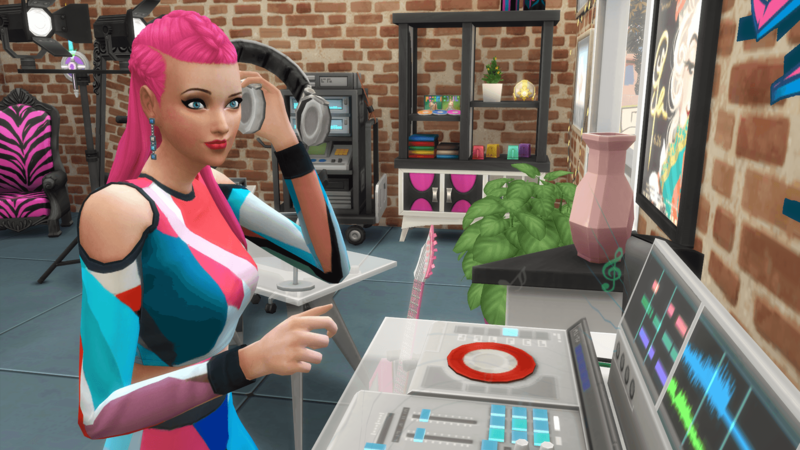 If you want to level up this skill even faster, make your Sim inspired. Every interaction will build up the Media Production skill like product, remix or burn track. Use different interactions like Study Trends, Post updates, edit a video. The drone will follow you around with everything that you do. You can record a video or activate a livestream. 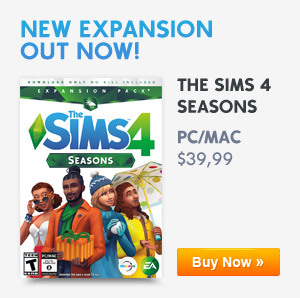 In this new expansion pack you can choose to become a vlogger! Adjust the lightning, upgrade your Video Station and start recording videos. I’ll explain what you need to do before uploading a video that will earn you royalties. First thing you’ll want to do is Study Trends on the Video Station. It’ll give you a list with the latest trends. Now record a video that’s similar to the latest trends. This will improve your chance of getting more royalties. You can use the video station or the drone. If you’re done recording, the video is stored into your Video Station or the drone. You can transfer videos from your drone to your video station to edit them. Only a drone can record a livestream. Time to edit the video. Watch the quality of your video by hovering over it and see if there’s still room for improvement. If you think it can be improved you can start editing. You can only edit the video once. The quality outcomes can be: Great, Good, Fair, Poor. You can now upload the video or you can add transition or even combine videos to improve the quality. After you upload the video you’ll receive royalties once a day from all your uploaded videos. The amount received depends on how much the videos are being watched. Greater quality and better timing (if it’s trendy or not) will improve your earnings. Add fancy transitions to you video. But be careful, there also a chance that it will lower the quality if you have a low Media Production skill level. If you combine 2 videos you can greatly improve the quality of your video but you can now only upload one video instead of two. Tip: Hosting a 24-hour charity stream can be unlocked with fame points. Get the Perk: All-Nighter to unlock this interaction for the Video Station. Place the Mix Master Music Production Station somewhere on your lot. It’s the only thing you’ll need for mixing tracks. Record, rewind and release the track to your listeners. Choose the basic tone of your track. If you click the option the track will automatically start recording on the mixer station. Add more beats and sound to your music. Everything is off by default so pick the ones you like to hear the changes. If you level this skill you’ll unlock new remix tracks. If you’re happy with the song you can choose to burn the track you’re working on right now. You can burn it after you stop recording. Release a track to earn royalties. You can only release one track once every 8-9 hours. If you have signed with a label you get more royalties. You’ll get better benefits when signing with a label. You can do this by clicking one of the unpublished tracks and send them to a label of your choosing. If you want to max out your earnings you should try to convince Maxis Music Machine to sign you. Earn more tracks, get new options and level this skill up to level 5.